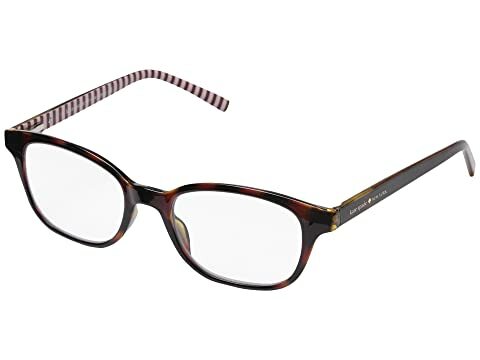 Look picture perfect while perusing your favorite pages wearing the Kate Spade New York® Kya readers. We can't currently find any similar items for the Kya by Kate Spade New York. Sorry! Overall a super pair. Light and easy to carry with cute case. Little crooked, but with some tweaking, very nice. Too overpriced for what they are--and had to constantly wipe them because they were easily fogged. Cute and comfortable, but sadly, back they go.